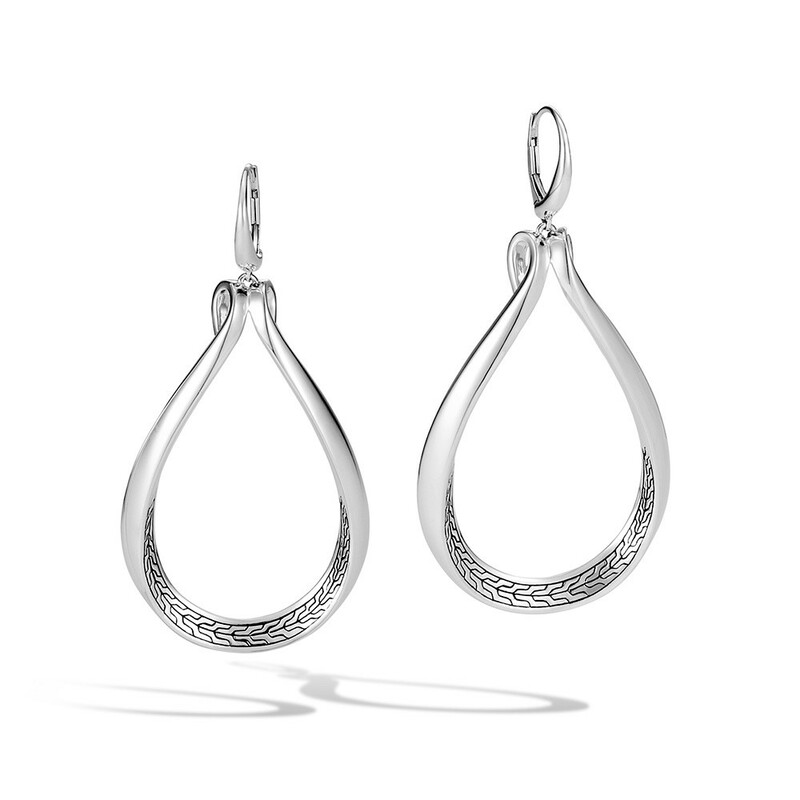 An open teardrop-shaped silhouette pervades these dangle earrings from John Hardy's Asli Classic Chain collection. 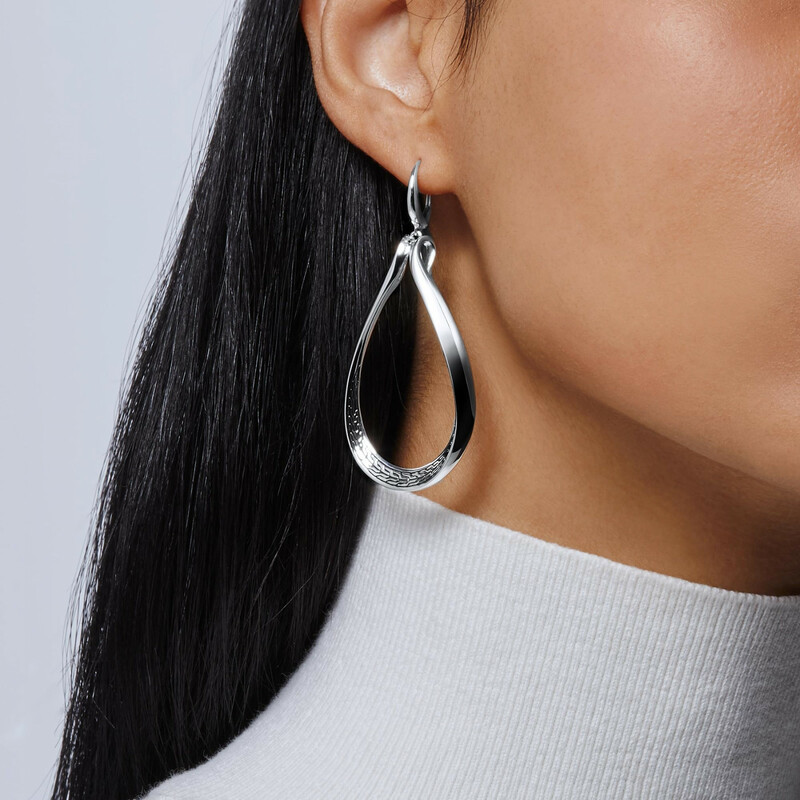 Crafted in sterling silver, the pretty pair features a subtly twisting link design that exhibits a carved design on the interior curve. Each pierced earring closes with a leverback. These John Hardy earrings meander marvelously!